The SafePace sign dolly can be parked and locked into place anywhere you want to slow drivers down. 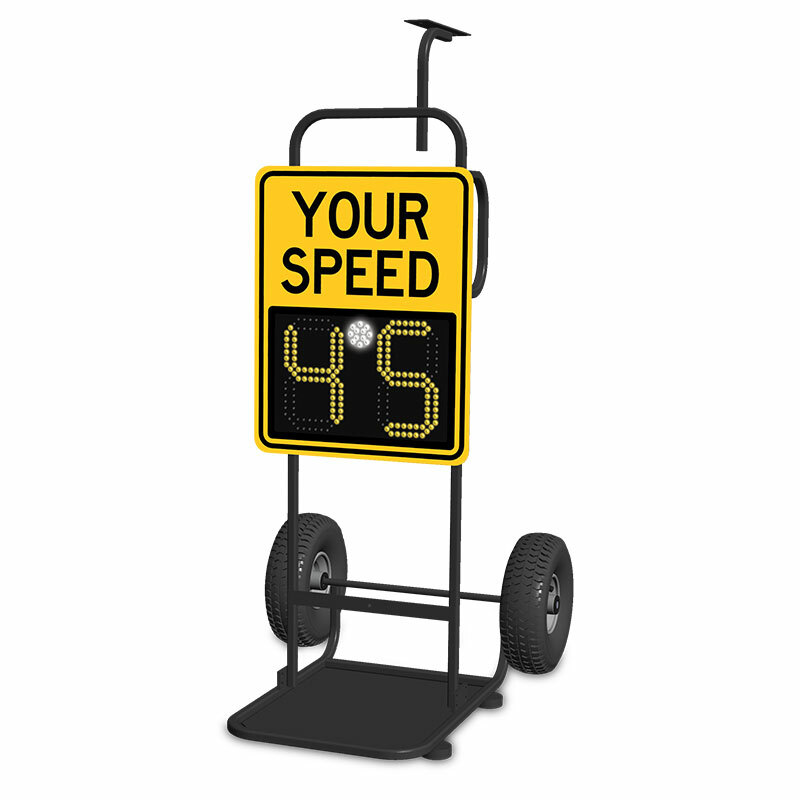 Popular for both indoor and outdoor use, the SafePace sign dolly is ideal whenever and wherever you need a portable speed solution. The dolly is lightweight, easy to transport, and simply locks into place for speed display you can depend on.